Available house of excellent quality in construction, details and unique finishes with very spacious spaces, very comfortable upstairs terrace with a beautiful balcony and jacuzzi .. This trendy style home is located in a closed condominium that has a perimeter fence, has guardhouse, common area with palapa and pool that has all the hidden facilities. 1 room in ground floor for bedroom, office or TV room, desk / center tv. Area connected kitchen, dining room and living room on ground floor. 2 main bedrooms upstairs with dressing each, very spacious. 1 Roofed laundry area with aluminum sliding doors with 2 spaces as a wine cellar. 1 roof garden terrace on the upper floor with jacuzzi. Mtto. $ 700 approx per month. Service side hall of 1.10m approx. width. - Facade with natural stone Mayan view. - Remote control fans in all areas (5). - Sliding windows floor ceiling in all areas at 2.90 m high (5). - Air conditioning Inverter in rooms (3) 12,000 BTU and stay (1) 24,000 BTU. - Sisterna of 5000 Lts. - Stationary tank LP Gas. - Residential carpentry in Parota wood finished Natural throughout the house. - Bookcase Cava in ladder cube in Parota Natural finished wood. - Desk panel wood Tv Parota finish Natural bedroom study ground floor. - Parota wood integral kitchen and covered bar in gray quartz. - Residential cancellation in white color with mosquito net in all the windows. - LED lighting in ceilings and luminaires. - Whirlpool tub terrace high floor brand KHOLER. - Palapa in area roof garden. - Roof papalpa backyard adjacent dining area. - Sheer blinds in 5 windows and scrollable screen in 1 window Eclissare brand. - Dressing rooms in wood parota in 2 main bedrooms. - Canceles in the 3 bathrooms in tempered glass 10mm. - 2 white areas in upper floor 1 with water intake. - Ceilings to 2.80m of height with ceiling for greater ventilation thus generating a house more fresh for the owners with greater ciruculacion of interior air. 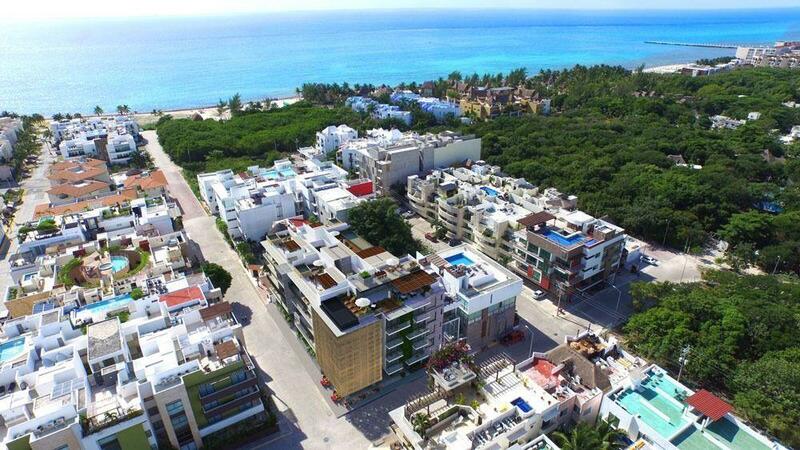 Sale price $ 3,500,000.00 pesos possible revision to offers. Mortgage loans are accepted through banks.